Summer is officially here, and for a lot of us this means more time by the pool, getting a (hopefully faux) tan and maybe even transitioning between climates. 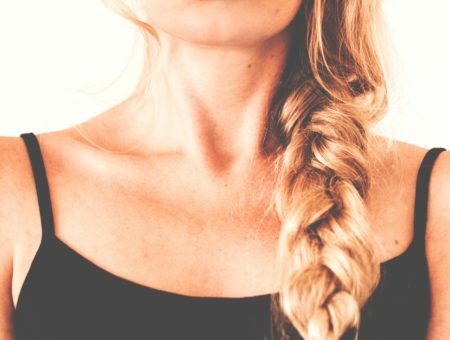 The summer season presents different challenges for your skin and hair, so it’s important to take lifestyle and weather changes into account when putting together your everyday beauty routine. The same regimen you’ve been using since December is not going to cut it in the summer heat! Of course, the exact changes to make will be different for everyone, but here’s my story, including the beauty regime changes I’ve had to make due to my transition from the regular spring semester to summertime. I go to school in southern Arizona where it is generally warm, arid, and has an elevation of about 2,000 feet above sea level. However, I am going to be home in Sedona, Arizona for most of the summer, where the elevation jumps to about 4,400 feet above sea level. There is also a slight temperature drop. After only a few days back at home, I have already noticed my skin is much drier than normal. Why is this? After some research, I found several articles that suggest that sun rays are stronger at higher elevations, meaning drier skin that is more prone to burning. Furthermore, strong rays bleach and dry out hair. Ick. Solution? Plan accordingly! If you’re going to be in a higher elevation area, switch to a stronger conditioner and take the time to find a facial moisturizer with a good SPF count! 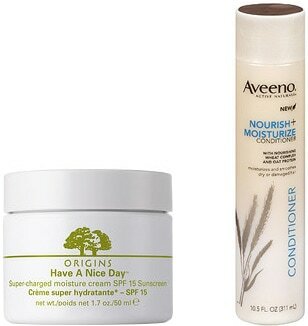 I’m using Aveeno Nourish + Moisturize shampoo and conditioner to try and combat the elevation change, as well as Origin’s Have a Nice Day™ super-charged moisture cream with SPF 15 on my face. Although I could go for a higher SPF, I’m trying to use all natural products and this particular moisturizer claims to have its own UV protectors. No matter how much SPF I slather on, my skin always seems to get a few shades darker throughout the summer. However, I also am a poor college student and don’t want to buy four different foundations to use for three months out of the year. Therefore, my solution is to mix a little bit of bronzer in with my loose powder throughout the summer so it will match my skin! I use MAC Mineralize powder and bareMinerals Warmth bronzer. This way, I can add in however much I need at the time, while getting a nice, clean glow. Summer is here, which means its time to embrace bright nail polish and sparkly lip glosses! Don’t be afraid to try sun-saturated hues this summer! 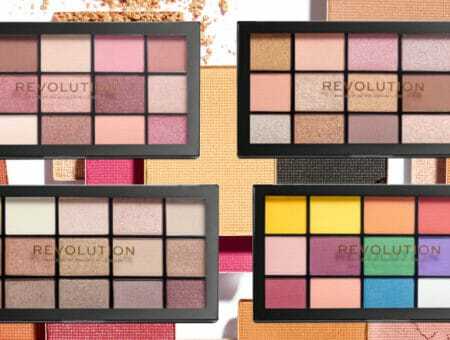 Especially with tanner or more sun-kissed skin, summer is definitely the perfect time to experiment with some great colors on your face and nails. 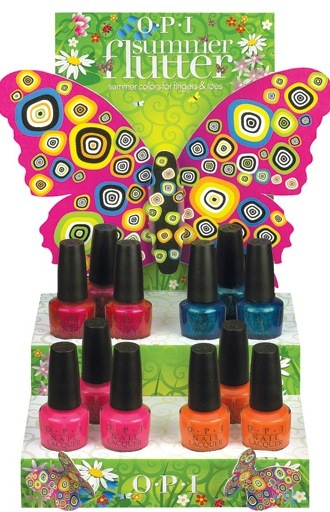 A good place to start is the OPI Summer Flutter Collection of nail polishes! My favorite is the pink in the upper left-hand corner. What’s your favorite summer shade? Do you change your beauty routine for summer? Share your story! Do you have any other tips I might have left out? Speak up, we’d love to hear what you have to say!